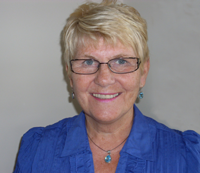 My name is Judith Sharpe and I am a Qualified Clinical Hypnotherapist and Psychotherapist with over 15 year’s experience. I have a Post Graduate Diploma in Hypnotherapy and Psychotherapy and am a Qualified General Nurse having worked in the NHS and private sector for 40 years. I am a Full Member of The National Register of Hypnotherapists and Psychotherapists and also a member of the The Mnemodynamic Register. I work with Clients who are unfortunately unable to function normally in their every day lives, either due to problems in their present or in their past, or both. I specialize in Stress, Anxiety, Panic attacks, Depression, Phobias and Obsessions, having also immense experience in Weight Loss Management and Smoking Cessation, as well as many other problems which are listed separately on the treatable problem page. I am one of a few hypnotherapists with a medical background who is able to understand and empathise with clients who have either past or ongoing physical and psychological problems. As each client is an individual and presents themselves with specific problems I am able to decide which course of therapy is best for their needs and then I will consider whether I use a combination of Hypnosis, Psychotherapy, CBT, Visualisations and Mnemodynamics to treat their symptoms and aid recovery. I work with clients from my Therapy Room in Aughton and also at “The Feel Good” Complementary Therapy Centre in Ormskirk. Areas that I cover are; Ormskirk, Aughton, Maghull, Kirby, Liverpool, Warrington, St Helens, Skelmersdale, Rainford, Parbold, Burscough, Southport, Formby, Crosby, Waterloo, Lancashire and Merseyside. For further information on the services provided please call Judith on 01695 421062 or 07770 660869. You can also get in touch by filling in the form section on the contact page or alternatively you can email me directly on judithsharpe@gmail.com, I will get back to you with a response as soon as possible.